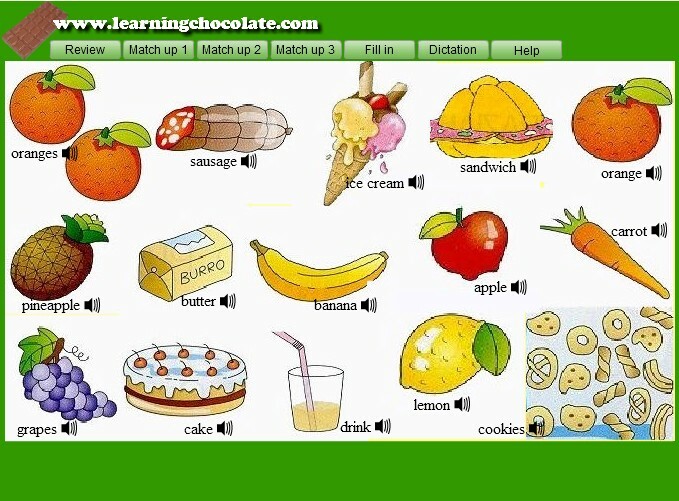 The lesson teaches basic vocabulary for food in English with audio for perfect pronunciation. There are five different interesting activities for more practice. Learn more about food in English and do all five different activities.